The song walks the line between R&B jam and pop hit. In it, she sings about going through an argument with her significant other and taking a drive to clear her mind. The steady groove and blend of delicate tones are very pleasing to the ear. And I project that this one will perform decently on the charts and with radio spins. It is apparent that a lot of time and care was spent putting all of her material together. And that is where the song falls short. There is a lack of substance to this song that comes as a bit of a surprise as the song was produced by David Foster and co-written by Tamar and Diane Warren. And after the release of her last single “The One,” I am beginning to wonder if the entirety of her album (save “Love and War“) will be light fare. If it is, that would truly be a shame because the saving grace for this song is Tamar’s delivery. With tender vocals, Tamar takes the opportunity to show how effortlessly she can flex her gift. She floats through intricate runs without coming off as showy and hits passionate notes that feel authentic. 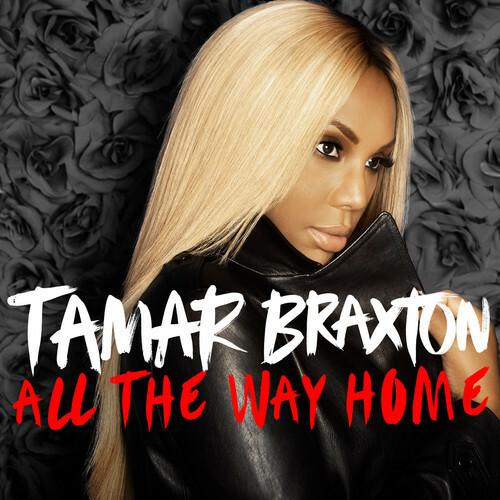 If you ever had any doubt that she might not have the vocal chops to make it in this industry alongside her sister Toni Braxton, “All The Way Home” will put that to rest. Taking everything into account, this was a good single choice for Tamar. She’s given us three different angles with the three singles that she has released. But the real test comes when the album hits shelves and we hear the opus in its entirety. Are you feeling Tamar’s new single? Tell us what you think in the comments section below!